Whether this is your first purchase or you are a real estate veteran, the closing process can sometimes appear to be mystifying. This thumbnail review should help you to understand what goes on before, during and after the day that you sit down and sign all the formal documents at Creative Title Services. As your closing agent, Creative Title Services acts as a third party to ensure that: the real estate sales contract is fulfilled, the Seller has good and marketable title to convey to the Purchaser, Lender’s Instructions and Conditions are met, all costs incident to the sale (e.g. required inspections, lender fees, escrow account payments, title insurance costs, loan payoffs, taxes and homeowner association dues, et al.) are paid and/or prorated to the appropriate parties, and that sale proceeds are disbursed in accordance with the lender’s direction and Florida law. Upon receipt of the signed Sales Contract, Creative Title Services contacts the sellers and buyers to obtain information essential to preparing documents and ordering any loan payoffs, HOA, home warranty info, verify real estate sales commission, etc. and to determine if all parties will be present at settlement. The government land records will be searched to determine what liens and/or judgments encumber the property and takes those steps necessary to ensure that good and marketable title will vest in the new owner. A survey is ordered and reviewed to determine if there are any encroachments on the lot or whether any buildings violate set-back lines or easement areas. 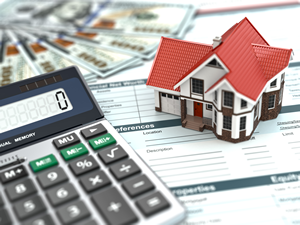 Annual tax amounts and whether they are current is verified and communicated to the lender along with a preliminary title report. All home inspection items should be cleared 4 to 5 days prior to closing to avoid closing delays. Please Note: A repair escrow for any incomplete home inspection item(s) is not likely to be approved by the buyer’s lender. In accordance with lending regulations, 3 days prior to closing, the lender and settlement agent will collaborate to complete the Closing Disclosure Form form(s) for Buyer and Seller. A final Closing Disclosure Form is released to both parties for review prior to closing. The seller, purchaser and their respective real estate agents gather at Creative Title Services offices or the location of choice to sign the Buyer and Seller Closing Disclosure Form(s), loan and seller conveyance documents. The buyer’s down payment and loan funds are deposited into the settlement agent’s escrow account, the key’s are passed and the transaction is closed. Once all funds are disbursed to the appropriate parties and legal documents are recorded, you can expect to receive your original Warranty Deed and original Owner's Policy in the mail within 4 to 6 weeks. You can request to have your documents sent to you sooner if needed.